As a leader, you often need to establish a rapport with others, to connect with them. It might be when you meet new people in an office or when you give a presentation or a talk. In each case, the other people will want to know who you are and what you stand for. They will need a little insight into your character in order to really listen to what you’re saying. One way to provide this insight is to list your credentials and those of your company. This is a push strategy, and it often fails: you push your credentials at your audience and most likely they resist what you’re saying and push back. The other option is to share a story that illustrates your character. This is a pull strategy, and it’s much more effective: the audience infers what makes you tick and works out how you are similar to them, and a bond begins to form. I call this a connection story. Sharing a connection story is a great way to start any presentation or meeting with unfamiliar people. But like any other business story, as well as giving an insight into what makes you tick, it must have a point. Here is a connection story I sometimes tell when I’m speaking to people in large financial or insurance businesses. The business point is usually about how, after a slow burn, the power of storytelling can just switch on for a businessperson – they just get it. The relevance statement that precedes this story is something like: ‘For many businesspeople, the idea of storytelling as a work tool is quite foreign and it can take a while for them to get it. But when they do, it’s an “ah-ha” moment. It’s important we persist to get them over the line’. And then I tell this story. One of my first story coaching gigs was with the global CFO of an insurance company: let’s call him Claude. Claude was headquartered in Paris but, sadly, I wasn’t able to travel there to run the sessions so we did it over the phone. Now Claude was the renowned hard man of his company; he’d begun his professional life in the military and was now a veteran of the insurance industry. He was the guy who announced the tough decisions, the one who fired people and cut budgets. But the world had changed and Claude wanted to change too. He wanted to adapt his communication style and foster what he called a professional family among his CFOs around the world. His HR director thought storytelling would help him achieve this. My first session with Claude was scheduled to last 30 minutes. I wanted him to tell me stories so he could hear what they sounded like and have a model to work from. I used every trick in the book to get him to share an anecdote, including questions like ‘When have you been proud of your people?’ But Claude shot back answers like, ‘I’m always proud of their work. We achieved an engagement score of 72 and year-on-year growth…’ No matter what I asked, he would reply with tight logic, reasoned argument, and no stories. As my 30 minutes slipped away, I felt more and more defeated. But right at the end of the call, at that point when things wind down and you enter into some chitchat, Claude turned to his HR director, who’d sat in on the meeting, and said, ‘I had a lovely call from my son this morning. He called to have lunch. So we met up. Guess what? He’s getting married’. Claude couldn’t contain his enthusiasm. When he finished telling his story, I said, ‘Claude, what you just shared is a story. That’s what we’re after. Sure, you might not share that with a massive audience, but it helps people understand the sort of person you are, what you care about’. Claude was a little surprised, but he understood, and my second session with him was totally different. He told story after story: he got it. We just honed some of his skills and he was away. A year later, Claude gave a keynote to the Australian arm of his business. Much like Steve Jobs’ commencement address at Stanford, Claude shared three stories, and weeks later people were still talking about them. Now just take a moment to let that story settle in your mind. Imagine the scene and picture the people and then write down what you inferred about me as a person. Most importantly, jot down what you learned about my character. When I do this in workshops I’m always amazed by just how much people infer. They say things like I’m willing to admit my mistakes, I’m humble, I’m an expert, I work with global executives, and much more. As I write this list, I feel uncomfortable pointing out these character traits because they make me seem egotistical. But that’s the point. When you share a story to introduce yourself, the audience works out what makes you tick, whereas if you list your credentials, résumé-style, you are telling the audience what to think. Harvard University psychologist Howard Gardner put it this way: ‘Stories of identity—narratives that help individuals think about and feel who they are, where they come from, and where they are headed—constitute the single most powerful weapon in the leader’s literary arsenal’. A good connection story also demonstrates that you’re a little bit like your audience. The eminent influence psychologist Robert Cialdini showed that we are most influenced by people who are just like us. One of his classic experiments was conducted in New York City. He wrote several letters in different languages and then dropped them next to a mailbox, as if they had accidentally fallen out of someone’s bag before they could be posted. 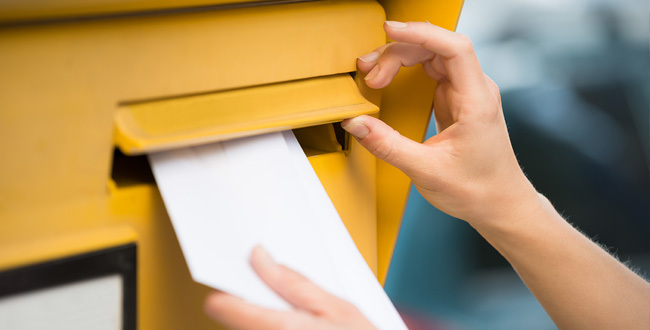 Cialdini found that if the letter was in Spanish and it was dropped in a Spanish-speaking part of the city, it was picked up and posted, but if it was dropped in a non-Spanish-speaking area, it was not. This pattern was repeated with the other languages: Mandarin, Italian and so on. Each time the language of the letter matched the main language of the neighbourhood, the letter was posted. People are more connected with and more influenced by people like them. So when you’re selecting a connection story, think about the audience and see if you can find something in your past that illustrates that you understand their world to at least some extent. For example, I once ran a workshop for the executives of CSIRO. The room was full of eminent scientists. Now while I could never claim to be a scientist, I did have a brush with the field that was a significant turning point in my career. When I was in my early 30s, I worked as a computer programmer at a database software company called Sybase. We won a project to develop a system for the Australian Geological Survey Office to document its scientific datasets. I built the system to specifications and then asked the AGSO scientists to use it to document their datasets. They just brushed me off. The comments I heard back were variations on ‘Why would I bother doing that? I have so many more important things to get done’. My project was in jeopardy. Luckily for me I had a friend who was a research geologist, Dr David Johnson. When I told him my problem, David said, ‘You have to understand Shawn that in science organisations the culture is publish or perish. If you want them to document their datasets, you might need to come up with a new publication type such as a published dataset’. So I went back to the AGSO and, with its help, started designing what was needed to publish a dataset. We linked it to the merit promotion scheme and added a peer review process, but most importantly, we ensured it was added to a researcher’s official citation list. I went back to the scientists to ask them if they wanted to publish their datasets and there was an instant line-up. And when I reminded them that the datasets would have to be documented in the new database, they didn’t think it was a problem at all. This was when I realised that it was the human factor that determined the success or failure of information systems, and I shifted my career towards understanding what motivates us to change our behaviour. David Johnson, Paul Shelley and I actually wrote a paper for the Institute of Electrical and Electronics Engineers’ first conference on metadata, which we called ‘Dataset Publishing: A Means to Motivate Metadata Entry’. My friend David Pope even created some cartoons to accompany it. On hearing this story, the CSIRO executives learned that I had some insight into the world of science and scientists. I was a little bit like them. They could now relax and hear what I was about to share about storytelling. In fact, one of the organisation’s chiefs—which is what its division heads are called—came up to me at the end of the session, held me by the elbow and in a stage whisper said, ‘I resent what you are doing… you are giving away my secrets’. We both laughed. The workshop was a hit. This is an excerpt from Shawn Callahan’s book, Putting Stories to Work.